As online marketing techniques are taking over, traditional marketing techniques are becoming less effective. Content marketing is a "strategic approach to creating and distributing valuable and relevant content consistently to attract a defined audience, with the aim to drive profitable customer action," according to the Content Marketing Institute. Thus, with content marketing, you are tasked with attracting an audience that will eventually spend on the products or services listed on the website. How useful is the content marketing proposal? It breaks the ice with prospective clients, allowing you to develop a business relationship. So, how do you draft a content marketing proposal that will bring in business? What will you consider? 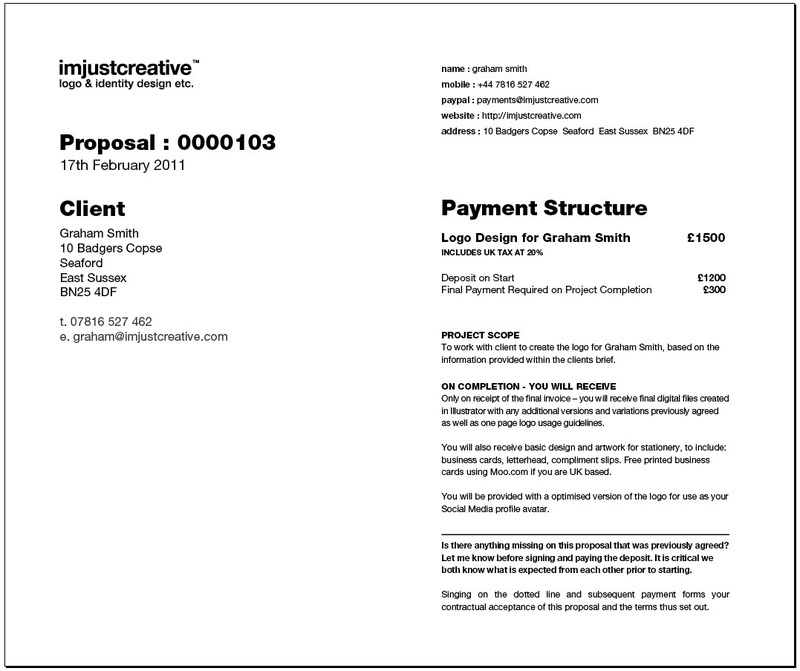 Make sure that your marketing proposal has a well-designed cover. This action is the first thing the prospective client will see. In fact, the entire document should be structured in such a way that it is pleasing to the eye, with considerations made with fonts, colors, and images. If the content marketing proposal isn't attractive at first sight, your marketing proposal will start with a struggle. The marketing proposal should identify the needs of the client. Goals are the main focal point of the marketing proposal. You are, in essence, telling them that you know their pains and you have the solutions concerning content marketing. Your marketing proposal shouldn't have the prospective client wondering where they come in. By focusing on their needs, you give a clear impression of what you are trying to accomplish. Thus, know your goals before you draft the document. This action allows you to focus on what the prospective clients find essential. Knowing that you have an idea of what they need gives you leverage towards success. The main aim of data gathering and discovery process is to identify the target audience and keywords. A widely recommended technique is to consider buyer persona integration, search result analysis, keyword search estimates and competitive link profiles. This process assists you in developing a content marketing proposal that will resonate with the client's experience in the industry. Buyer personas assist in understanding the target audience, thus allowing you to produce content that will have the best chances of converting traffic to sales. Keyword search estimates assist in understanding phrases related to your client (the volume and competitiveness). The forecast also helps in determining the kind of content production necessary to be seen on the first pages of search engine result pages (SERP). Competitive link analysis will give a list of links to get your strategy going. Competitive search results analysis provides the understanding of the necessary content marketing needs. This approach is based on keyword targeting. These four factors will help you develop a more in-depth understanding of what your client needs, and the industry as a whole. Other materials you can consider during the discovery phase include; existing marketing collateral, industry publications, site analytics data as well as events and shows. Before starting off on the content initiative, analyze the site structure and observe how the pages can be optimized. Look for opportunities that will add to conversion opportunities. A good strategy is determining how track-able lead opportunities are as well as measuring performance. 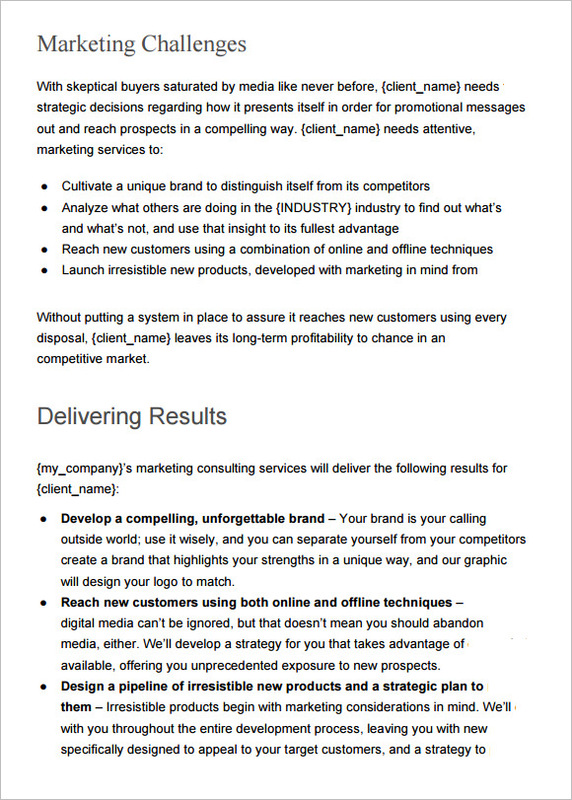 You can include these strategies in the marketing proposal. These techniques will help you maximize on the project's success. Some of your assets have created time to grow and produce results. Thus, look back at what has worked, what hasn't, and you can gauge your next strategies based on these reports. Creating content without a plan will immensely contribute to the program's failure. This move will give you a clear picture of what strategies you will include in your marketing proposal in a bid to convince the prospective clients that you are flexible in your methods and that you evolve with time. Though not comprehensive, this short list will provide some insight on developing your content marketing proposal in a bid to secure the clients you are targeting.